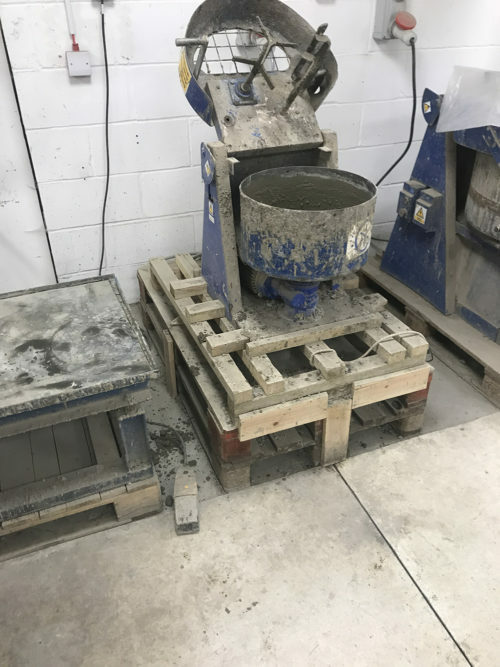 Level Best Concrete Flooring the innovative industrial concrete flooring contractors from Yorkshire has been working in conjunction with Chryso to design the perfect concrete mix suitable for laying high tolerance cast insitu concrete floor slabs. Trial mixes with various different materials have taken place to ensure compatibility with Level Best Concrete Floorings laser screed concrete flooring systems and methodology. The concrete mix designs incorporating superplasticisers and strength accelerators also need to be flexible enough to allow concrete pumping over long distances without excessive bleed water and ponding on the finished concrete floor slabs. Jon Wilcox the companies concrete technician and Luke Morrow, Contracts Director worked in conjunction with the Chryso technical team and reached a number of excellent solutions with which to take the “innovation in concrete flooring” another step closer to the perfect concrete mix recipe. If you would like to know further about the expert “in house” knowledge regarding concrete flooring concrete mixes that Level Best Concrete Flooring procure then we are happy to assist where and when able. Please call us on 01405 819199 and ask for our estimating department for our various concrete flooring solutions.